1.Elastic sealing material. The elastic sealing material according to the different media for supporting the design, this is not a problem, such as PTFE, EPDM, FKM, but the price gap is large, of course, here refers to the purity of the monomer which material proportion of more than 95%, most of them are refurbished material, the purity is not enough, and there is no guarantee that the chemical and physical properties will change, which is easy to lead to long-term dissolution of the medium with the media leakage. 2.Flexible sealing processing accuracy. The machining accuracy for miniature solenoid valve control precision and the elastic component of it, but if it is large diameter solenoid valve elastic shape of the component is not small, water, etc. will shrink, gate product flatness, roughness directly affects the current, abroad are integral forming, laser cutting, so that forming. Of course, this set of processing equipment investment is huge, the general factory can not do this. Since it is not smooth, it is easy to leak. 3.Machining precision of metal sealing contact surface and structural design. Of course, we can not say which design is best, can only be used in conjunction with the use of their elastic components, but the accuracy must be required, how much is the roughness, and what kind of material processing on such small contact end face? If the design of the end face is too large, will impact the flow rate, and it is easy to stuck crystal, dust and other fine particles on the elastic components, so it is easy to cause leakage, and will be more after a long time. But the cone seal design will not be such a problem, the contact surface is small, the flow rate is quick, but the flow will be very big in this kind of structure. 4.Plunger assembly welding. The general shape of the plunger assembly is small, the requirements of argon arc welding and laser welding are relatively high, one is to ensure the production capacity, but also to ensure the quality, this material is also relatively high demand, corrosion and oxidation medium will lead to weld point corrosion, has great influence on the air tightness. 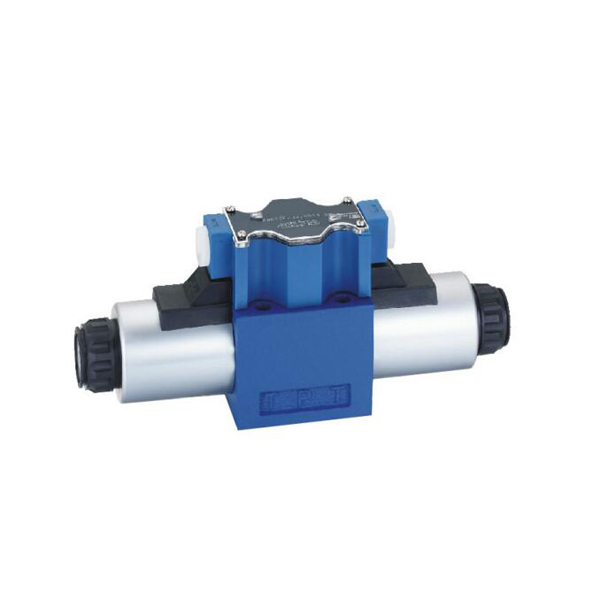 Standard flow of 4WE10 bosch rexroth hydraulic Valves is 120l/m,and working pressure of hydraulic direction valve is 32Mpa,the same as NG5 valve and Cetop5 valve. 4WE10 rexroth type directional valve usually used on hydraulic power,hydraulic work system and industrial hydraulic equipment.